Having an American Thanksgiving while traveling is a challenge. Of course, classic turkey and stuffing is not typical Italian fare. Sacrificing an American holiday is tough, especially since you’re far away from home and longing for your loved ones to celebrate with. 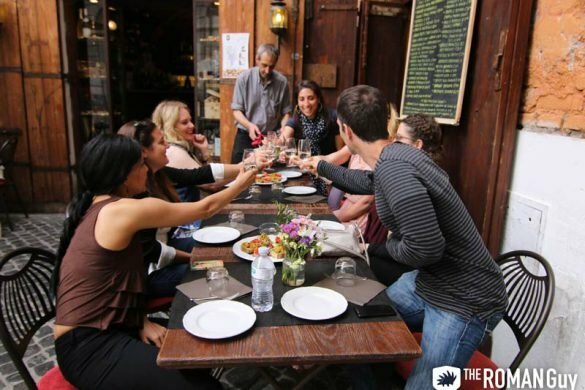 So, what can you do in Rome to feel more at home during Thanksgiving? 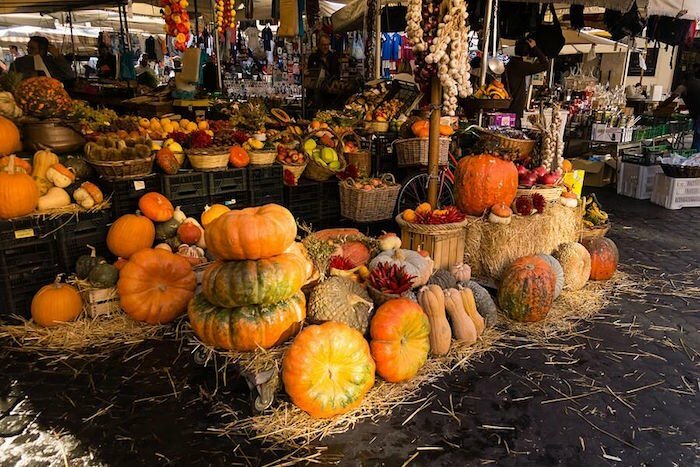 Here’s your perfect guide to spending Thanksgiving in Rome. Everything you want to know, from where to eat to things to do. Traveling Rome and want to find your way around? We’ve got the job covered. On our local Rome tours, you can explore our favorite highlights, such as the Vatican and Colosseum with an expert guide, all while skipping the long lines. 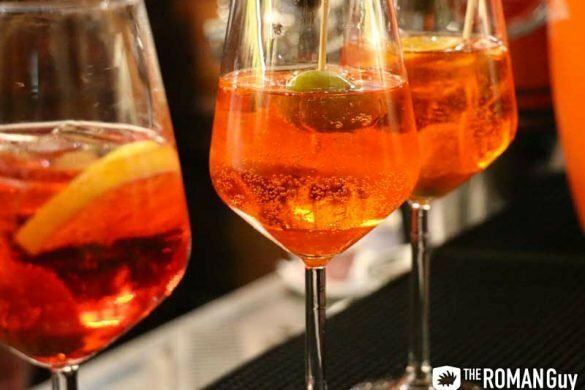 We want to help you navigate the Eternal City to make the most of your Italian getaway. 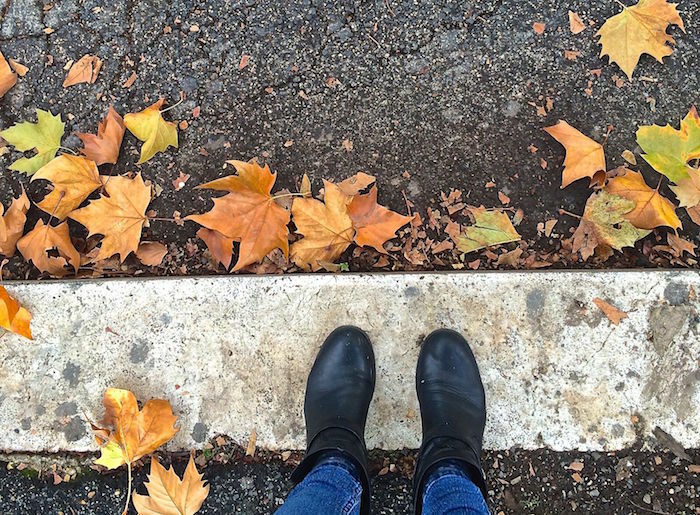 Let’s start with the basics, what should you wear during this time of the year in Rome? Temperatures can go from 65°F to 80°F (18-27°C). This means that you need to be prepared for anything! We recommend dressing in layers. Also, as November is one of the rainiest months in Rome, make sure to pack the essentials like a raincoat and umbrella. For 35 euros per person, you’ll be able to enjoy a traditional American Thanksgiving dinner which includes the classic turkey and pumpkin pie for dessert. The Hard Rock even has a photoshoot corner, so you can always remember your distinct Thanksgiving in Rome. This year, there’s even an Aretha Franklin revival show in addition to a performance from a gospel music group. This is probably as American as it gets, so if you’re longing for the classic cuisine, this is definitely where to go. This dinner includes the popular roasted turkey with mashed potatoes and gravy. 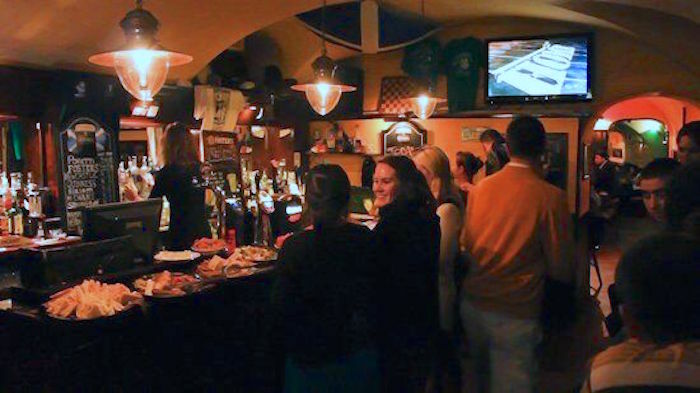 Worried about where you’ll watch football on turkey day in Rome? This pub will be your saving grace. They’re dedicated to creating a fully American Thanksgiving evening, and football is a necessary part of that experience. Make sure to make your reservation on time though, since there are limited spots. If you’re looking for a more local take on Thanksgiving dinner, then explore this restaurant. Their menu includes ravioli pasta stuffed with sweet potatoes, stuffed turkey roll and pumpkin flavoured crème brulée. This lounge in a way combines Italian and American Thanksgiving cuisine. The ravioli stays true to Italy, but the sweet potatoes remind travelers of American fare. Carciofi alla Giuda: Simply put, this traditional dish is whole fried artichokes. There can’t be a better time to try it than during the fall. Chestnuts: Roasted chestnuts are not to miss while visiting Rome during the fall. You’ll find them at stalls along the streets, a perfect snack for the go while exploring the city. Squash/pumpkin: Known as Zucca in Italy, you can enjoy this typical Thanksgiving ingredient in tortellini, ravioli or check out our recipe for pumpkin risotto. Another good thing about visiting Rome during Thanksgiving is that the city is far less crowded, perfect for visiting Rome’s highlights. 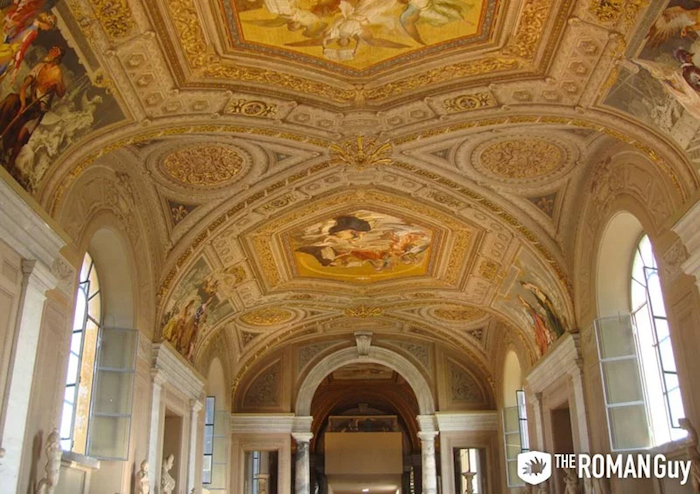 A trip to Rome is not complete without visiting the Vatican Museums. If you’re not fond of crowds, then you have chosen the perfect time to see its galleries, Michelangelo’s Sistine Chapel and St. Peter’s Basilica. Don’t waste your precious time in Rome and follow our expert guide on one of our Skip the line Vatican tours! 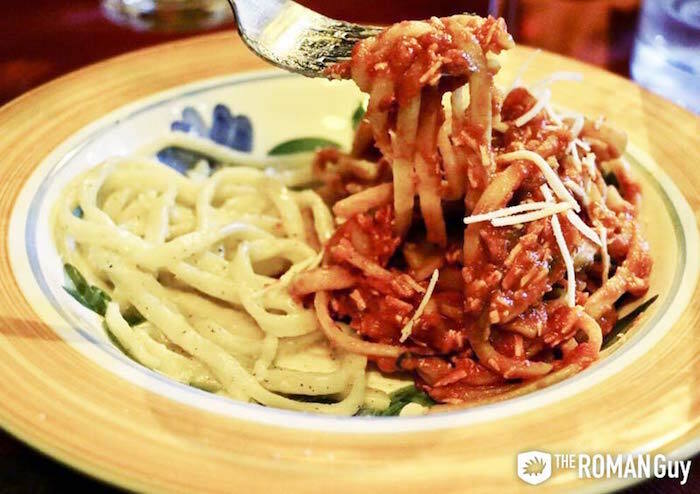 If you’re feeling like going on a culinary adventure, then search no more. 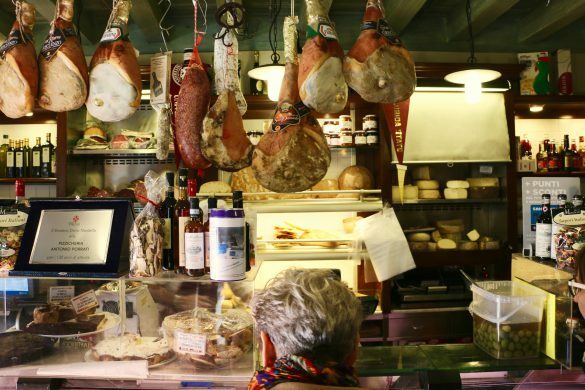 Explore the local foodie scene in the bohemian district of Rome on our Trastevere food tour. Vintage clothes: Rome has some of the best vintage stores. If you’re on the hunt for some unique pieces, make sure to take a look at our list of the best vintage stores in Rome.